Cloud gaming has become a hot-button technology lately. While streaming services continue to vie for consumer attention, developers are getting to grips with using networked power to drive the next generation of games. Early in this console generation, we saw titles like Titanfall and Crackdown 3 employing cloud tech in Azure and Cloudgine respectively to allow for greater destruction and graphical fidelity. We've also seen London-based start-up Improbable enter the fray with its SpatialOS. But newcomer, fellow London-based start-up Hadean, doesn’t think it’s missed the boat when it comes to breaking into the emergent field. In fact, the firm is bullish about its chances - and while companies like Improbable might have popularised cloud-based game development, Hadean is confident it can perfect it. 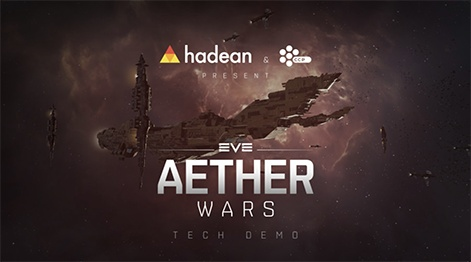 We spoke to CEO Craig Beddis (right) and CTO Rashid Mansoor (far right) to gain insight on the fiercely competitive cloud games space, and what Hadean is bringing to the table in 2019. PCGamesInsider: Tell us about what Hadean does. Craig Beddis, CEO: Hadean is a next-generation platform for distributed compute. It’s built on a cloud-first operating system, which we’ve approached with first principles. We’ve redesigned a 40-year-old technology stack taking it from millions of lines of code down to tens of thousands of lines of code. That enables developers to build applications on top of Hadean or algorithms that scale without all the scale engineering, operational constraints, and devops infrastructure that is typically required with the existing stack. What makes Hadean different from other cloud tech companies, such as Improbable? Beddis: The way we differentiate ourselves from other cloud tech companies is that we have built our own operating system, which is significantly lighter weight and significantly more performant than Linux or Windows. Aether Engine is just one application library we’ve built on top, that runs distributed simulations. We would argue that is the bit people see as similar to what other companies are trying to do. However, we are leveraging our cloud-first operating system. That makes Aether far more scalable and far more performant. This is why we’ve created Aether Wars with CCP, which allows us to target and attack breaking the world record for the most players in a single multiplayer online video game battle, with 10,000 players battling each other. As a first step towards that, we’ve already hosted an online multiplayer battle with 1,000 players taking part. Hadean is still very much an early stage company. Our product is very much early doors as well. But it’s also why people like Microsoft and CCP are very attracted to Hadean because we genuinely have a cloud-first OS. Improbable has attracted a lot of funding. Is there a risk that Hadean is late to the market? Beddis: You could say the same thing about Facebook coming after MySpace. You could say the same thing about Google coming after Yahoo. We’ve looked at what other companies operating in the same space have done and we’ve learnt key lessons from that. At Hadean, we’ve been very careful and very deliberate with our approach with our tech. We’ve been very selective about who we work with and the approach we’ve taken has been collaborative. Despite us being an early stage company, that’s already yielding fantastic results and the market is already embracing us as a result of our considered approach. Rashid Mansoor, CTO: In spite of outside competition we are very confident in our unique approach to address distributed computing at its heart and to develop a game/simulation engine that is idiomatic for the games industry. Our operating system gives us an enormous edge in scalability compared to technology stacks built on Linux or Windows servers. This allows us to build a distributed game engine with an API and architecture similar to what is typically expected and offered by traditional non-distributed engines such as Unreal or Unity. We are sceptical of any attempts to achieve real-time distributed simulations at scale without a fundamental approach such as ours which takes into consideration the issues arising at an operating systems level and up. Given our combined prior experience in traditional approaches to distributed computing, we believe it to not be a scalable long-term technology approach. What do you make of the cloud games market right now? Beddis: I think it’s very interesting what’s happening in the market. There seems to be a shift in gaming similar to what we have seen with television and movies, a shift to streaming service, to the Netflix of gaming. It’s something that both Microsoft and Google seem to be focused on. Cloud-based games are an absolute natural subset of that, which is why you’re seeing Improbable and Unity and other people try and move into this space. Hadean wasn’t built with gaming in mind. It just happens to be that the cloud-first approach that we’ve taken to the operating system and the simulation engine we’ve built on top of HadeanOS lends itself very well to gaming. We run very close to bare metal, which means we’re highly scalable, highly reliable and highly performant. The programming language we’ve written in, C++, resonates very well with gaming. What are some of the biggest challenges facing cloud gaming right now? Mansoor: Cloud platforms are yet to adapt to the requirements of gaming. Cloud platforms have mostly been focused on the requirements of enterprise gaming companies. Game engines and the way multiplayer games have been historically designed centre around the constraints of the limited hardware availability. Most games run on a single CPU and rarely use all available cores. They also tend to use one-to-two GPUs. DirectX 12 and Vulkan changed that up a bit, but game engines are still designed around single-machine hardware constraints. Even big MMOs such as Warcraft or Eve Online tend to instance the world around what can run on a single server. The cloud presents new opportunities in the form of the near limitless availability of hardware at the touch of a button. This motivates new approaches such as game engines designed from scratch that can utilise an ever-growing pool of hardware in order to deliver massive contiguous worlds (no instancing) and new types of player experiences. Ideally, game developers would be optimising for player numbers and profit-per-player but existing tech does not put us there yet. This is where things get interesting and the world and players become the content and we have emergence and unpredictability that keeps the game fresh years and years down the line. Current tech is just not suitable for this cloud promise. What are Hadean’s long-term goals? Beddis: We very much want to be the platform that developers build on. We want them to build games with Hadean. We’re not trying to become a gaming company. We’re not trying to build games of our own. Our goal is to democratise gaming development and enable developers to build games that they can’t build today. We want to enable people to leverage the power of the internet and the compute power that goes with it. So for the individual developer or the small studio, it’s to build and create with the big studios. For the big studios, to build games that are far more cost effective in a more productive way. Ultimately, we want them to build games that they can’t build today. Mansoor: We’re keen on the future promise of cloud gaming where worlds exist independent of any given player. Where a player logs on and sees a changing evolving world where other people come and go. Where AI has a sense of permanence and poses a real threat. Where decisions and strategies play out over longer time frames. We feel the democratisation of multiplayer and cloud gaming will allow for innovative new gameplay experiences from both indie and triple-A studios and allow the smaller teams to compete with the big boys.